Vancouver, BC — Indigenous delegates and tribal allies will be confronting Imperial Metals at their Annual General Meeting at the Executive Plaza Hotel Coquitlam, 405 North Road, Coquitlam, British Columbia at 8 a.m. on Thursday, May 25, 2017. 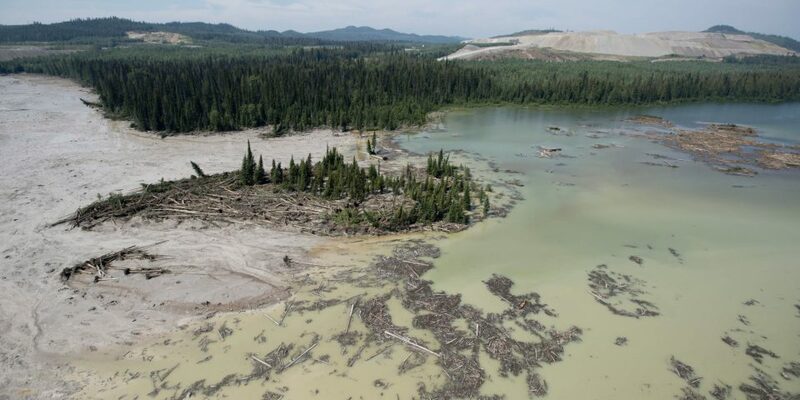 The Indigenous delegates will warn the Imperial Metals investors they should be aware of the very serious concerns regarding the Mount Polley mine, and the financial risks in investing in poorly run companies like Imperial Metals. While the company’s shareholders and executives are meeting, the United Nations Working Group for business and human rights is on their first official visit to Canada and will be visiting Williams Lake to investigate Imperial Metals. They will be hearing Indigenous testimonials about the effects of the Mount Polley Mine disaster, and of the continued violations of Human Rights by Canada and Canadian resource extractions companies. The UN Human Rights Council set up the UN Working Group for business and human rights to address the rights violations often associated with extractive industries. Imperial Metals investors must be made aware of the fact that the whole world is watching them and their actions. Collective Indigenous consent has never been achieved by Imperial Metals Corporation for any of their operations across British Columbia and there are multiple legal proceedings going on against the company. Imperial Metals has also been met with continued direct actions, disruptions and confrontation from Indigenous Peoples, with mine roads blockaded and their Vancouver headquarters occupied. The Indigenous land defenders action is being carried out under the legal protection of the United Nations Declaration of the Rights of Indigenous Peoples (UNDRIP), which states that Indigenous peoples have the right to block development on their land that was undertaken without their free, prior and informed consent. Tagged #ImperialNoMore, Imperial Metals, Imperial No More, Kanahus Manuel, Mount Polley, Quesnel Lake, Secwepemc, Tailings Pond, United Nations Declaration of the Rights of Indigenous Peoples, Yuct Ne Senxiymetkwe.